Order landscape 10×8 photo prints or go vertical with our 8×10 photos. No matter your preference, our digital prints can be customized with a variety of options including cropping and photo paper selection. Fill up your album or a classy frame with our cheap 8×10 photo prints and preserve your best moments for future generations. Looking for something a little different? Check out our metallic photo paper prints! Available in a classic 8×10, our metallic prints have a pearlescent finish with luminescent colors. Or print a series of pictures on our 8×10 custom collage posters. They’re ideal for framing and make great wall decor! Need to go larger? 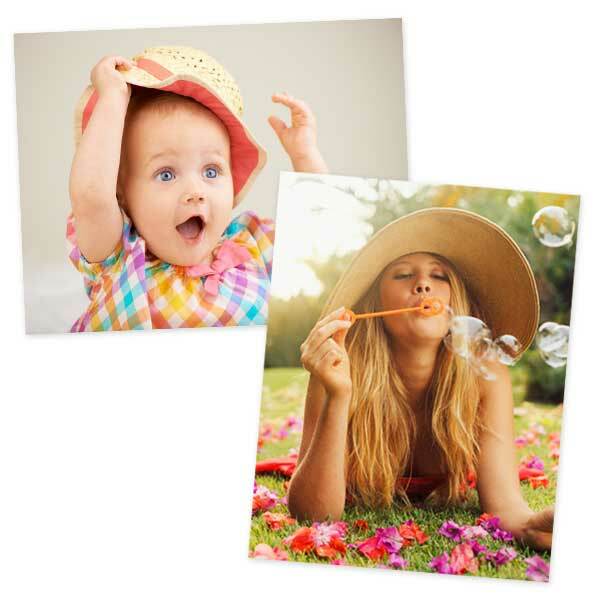 Order 16×20 photo enlargements or 24 by 36 photo prints!